Bloody hell Ant! Way to make it easy to find! Actually I take it all back, this was the whole point of New Wine This Week when we were talking about it at the turn of the year. Let’s get drinking stuff we’d never normally have a go at! So Lebanese red it is! We’ve made it fairly open by just saying any red wine from Lebanon. Which is fair enough. If your local supermarket doesn’t have one then let’s not hold it against them. Most wine shops though will either stock one or know where you can get one from, so everyone should be able to have a go at some point this week. Lots of info for me to have a read up on this week as I’m not all there with Lebanese wines myself. Will try condense a few need-to-know’s for you all. We’ve got start getting more adventurous…. here we go! 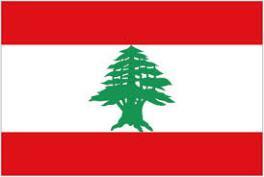 Pingback: Please Bring Me My Wine | #NWTW Week 18: What’s a Lebanese Red Going To Taste Like?